There are a lot of things that can go wrong in an IPO, a truth about which I have seen far too many examples. It should now be clear that there are many common factors in these. First and foremost is the tendency to get greedy. Greed is probably too strong a word. Very rarely have I come across a CEO or banker exhibit any more greed than the average person selling a car. People just want to get a good deal for what they are selling. However, as we saw in Chapter 4, there are many competing incentives at play. And under the immense pressure of an IPO roadshow and a full-blown process, many times, people give into the wrong decisions. Frequently, this is reflected in the financial model which the company gives out to analysts. These models are set too high in the hope of pursuing a higher valuation, but often at the cost of the long term health of the stock. In particular, management teams tend to set financial targets for the first full year post-IPO too high. (This is often called the ‘out year’ of the model. For example, if the IPO is today in September 2015, the out year covers 2016.) The reasoning is that investors and analysts will likely use those second year numbers to value the company. For the management team, i.e. people running an actual business, those numbers seem very far away. But for investors, the end of the second fiscal year is at most eight Excel cells away from today, very close indeed. Let me create a hypothetical example. International Buggy Whip is going public today. They had great growth last year on the back of all the retro hipster interest in Buggy Whips. This year they think they can grow revenue to $100 million. They have no idea what revenue in 2016 will be like, but the Street makes them take a guess. If they say revenue is $200 million, their bankers will value the IPO at $1 billion, or five times revenue. The CEO, who owns 10% of the company, will then be worth $100 million and probably get some kind of bonus for hitting a unicorn number. However, the overly diligent CFO thinks the company can only do $150 million in revenue. Five times that number is only $750 million. The Venture investors backing the company invested at a $500 million valuation. The billion dollar market cap will look much better to their own investors, and that new fund is just around the corner. After the IPO, the company reaches its $100 million target for 2015, and reports a good quarter. But then they have to guide for the first quarter of 2016. The Street thinks they are going from $100 million to $200 million, which works out to $50 million per quarter. However, the company is actually on a trajectory for $150 million, or $37.5 million per quarter. When they give that 1Q16 guide, the wheels start to come off. Then when they guide to another $37.5 for following quarter for 2Q16, the Street realizes they were misled and walk away, and the company’s valuation goes to something like $100 million. In a later chapter, we will walk through the right way to approach this situation, but the short answer is the company should have told everyone they would do $125 million in 2016. By the end of the year, the company would be at its $1 billion valuation. Another common, but less lethal mistake is to let the CFO write the entire roadshow presentation. Many companies wrongly assume that since the IPO is about money and numbers that the CFO should make all the decisions. Wrong. The point of the IPO is to pitch the company to the investing world, and typically no one is better at that than the CEO. I have nothing against CFOs, but the Street needs a bit more than just numbers. Taking it a step further, management teams often overlook their internal resources when crafting their story. 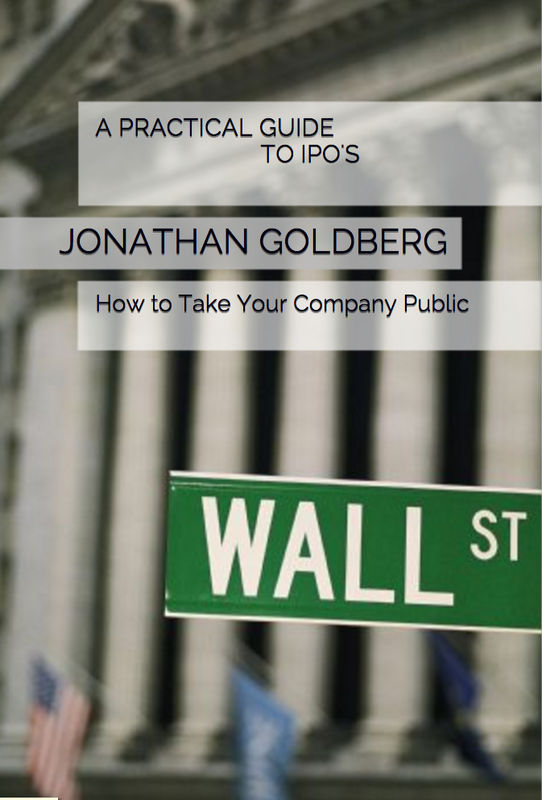 The IPO preparation should include the Chief Marketing Officer as much as the CFO. Conversely, I have also seen companies let the CMO run away with the presentation. Professional investors are a cynical group, and they heavily discount overly slick stories. Even when the company is conservative on its financial forecasts, a big, fluffy story can antagonize investors who prefer hard details and tangible targets. A corollary of this is that CEO personalities matter a lot, and investors take notice of the smallest details. I have heard investors pass on an IPO because the CEO has too good a tan, overly white teeth or a pinkie ring. Put more simply, management teams should avoid over-selling their story. The best companies just need a basic explanation and the appeal should become apparent. An increasingly common mistake is to assume that since the company has been raising money for years that the management team is now experienced at dealing with public market investors. This has become more common because so many of the largest mutual funds are making late-stage venture investments. So Fidelity, T Rowe Price and Black Rock are already familiar names to CEOs. As I have said repeatedly in this series, handling public market investors is very different than private investors, even if the two work for the same company. Their expectations are vastly different. Unless you have been a C-level executive at a company that went public under your watch, the IPO process will be very new to you. Finally, a big mistake is to go public on the back of a single large customer. Without naming names, I know many companies that have done that in the past five years. Inevitably, when a company contributes more than 50% of your revenue, and they see your IPO and read your now-public financials, they will come back and renegotiate whatever deal you had with them. And they will have all the negotiating leverage. It is always tempting to ride some exciting story, but unless you control that story, there is great danger in being too closely tied to a single outside party.